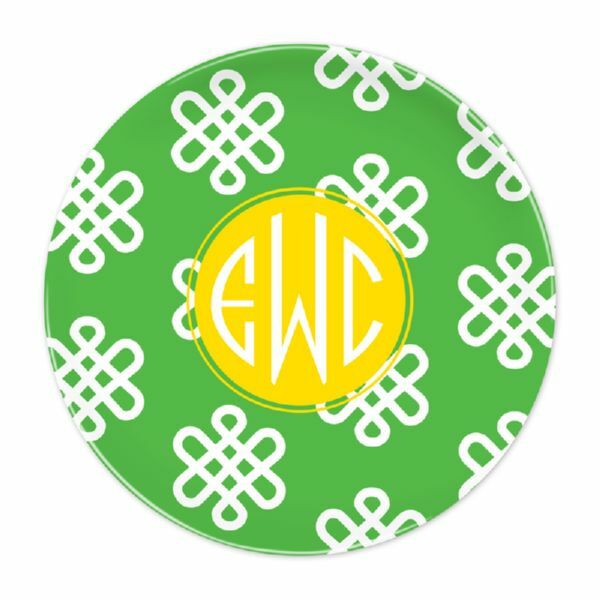 Stop eating off that boring old dinner plate and replace it with this Clementine Dinner Plate! Each plate measures 10 inches around and is dishwasher safe! Personalize monogram and font color. Coordinating products available!